Mooresville, N.C. – NASCAR driver and current Cup series points leader Martin Truex Jr. and his partner, Sherry Pollex, an ovarian cancer survivor, today announced the Martin Truex Jr. Foundation’s second annual “Drive for Teal & Gold” Campaign to raise awareness of and funds for ovarian (teal ribbon) and childhood (gold ribbon) cancers will kick off this weekend at Darlington Raceway. 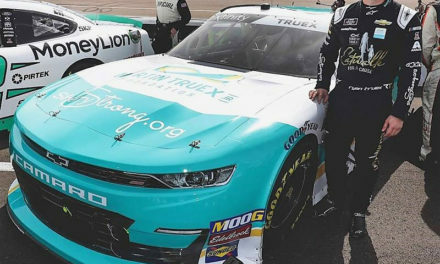 Throughout September, the national awareness month for both diseases, 87 drivers in MONSTER Energy, XFINITY and Camping World truck series races will sport teal and gold steering wheels customized by MPI (Max Papis Innovations); an additional driver, Ryan Newman, will use customized driving gloves. MPI is donating 25 percent of each steering wheel purchase to the MTJ Foundation. 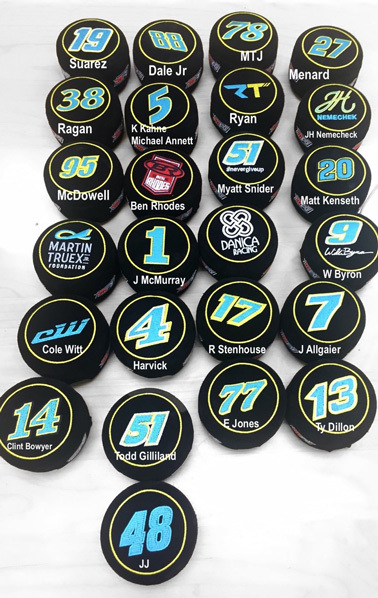 At month’s end, drivers will autograph their customized items for an online auction by NASCAR Foundation to benefit the Martin Truex Jr. Foundation. 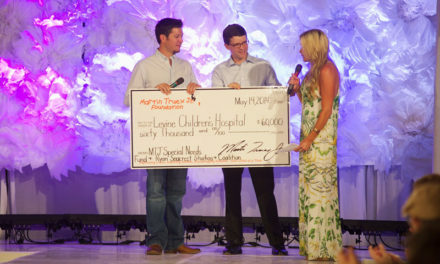 In 2007, NASCAR driver Martin Truex Jr. and partner Sherry Pollex created the Martin Truex Jr. Foundation to advocate for children and teens affected by cancer. In 2014, doctors diagnosed Sherry with stage 3c ovarian cancer. 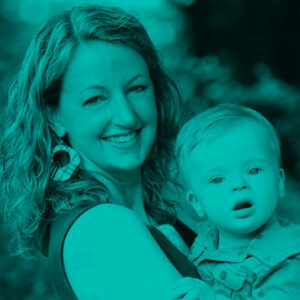 After surgery and chemo, Sherry began healing through integrative medicine, nutrition, exercise and the mind/body connection. In 2015, they rebranded the Foundation’s mission to support both childhood and ovarian cancers. In 2016, Sherry launched SherryStrong.org as a health and wellness resource for women fighting any form of cancer. In July 2017, Sherry underwent successful surgery for a recurrence. Martin and Sherry encourage other cancer survivors with #NeverGiveUp and #SherryStrong.